How are you using QV in your lab? 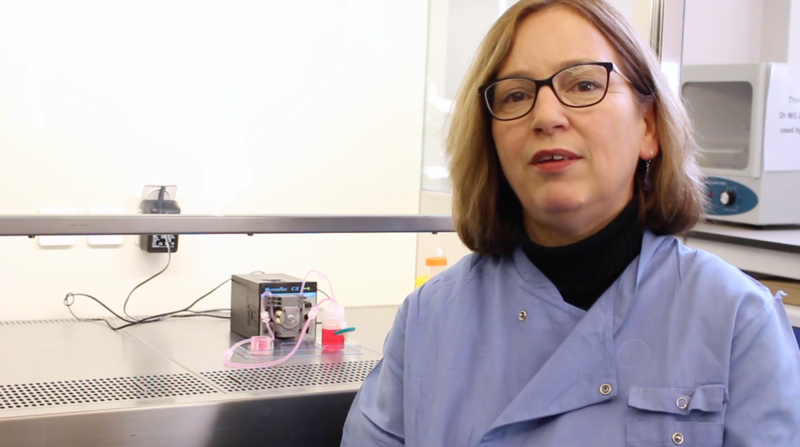 We are using the Quasi Vivo® system in our studies of breast cancer cell behaviour in 3-dimensional cell culture. What were the main benefits you got from the training? By undertaking the training and viewing the set-up of the Quasi Vivo® system the entire process was demystified. How did you find setting up your research projects following the training? We tried a couple of different approaches following the training session but we found it was quite easy to establish the different systems once we had seen the Quasi Vivo® kit demonstrated. Who should consider using flow and QV? How easy to protocols translate from static cultures? In our view, flow is an important consideration when running 3-dimensional cell culture. There is evidence that flow systems/mechanical forces affect a range of cell behaviours. Transitioning from static to flow systems is very easy in the 2-dimensional cell culture format, more complicated in the 3-dimensional systems but with some careful thought flow can be incorporated in both scenarios. Who do you think should come to the training? In my view, individuals who are working in the area of toxicology and cell biology would particularly benefit from learning about the Quasi Vivo system®. Researchers with an interest in cell-cell interactions may find the Quasi Vivo® system interesting.